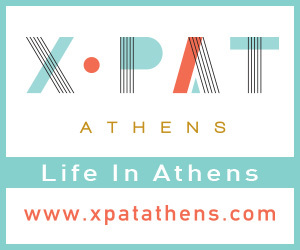 A great opportunity to have a tour to better know the city, is given through the free guided tours to archaeological sites and neighbourhoods of Athens. This favourite habit of the Athenians always had too many participations, and now starts again for the new year, from January to March. The program of the free guided tours, includes a tour of both the cultural richness and the beauty of the city, by experienced and qualified guides. It is offered by the Athens Municipality Organization of Culture in cooperation with the Association of Licensed Guides. The City of Athens would like to thank the guides for their volunteering. Saturday, January 10, 2015, Time: 10:30 a.m.
Saturday, January 17, 2015, Time: 10:30 a.m.
Sunday, January 18, 2015, Time: 10:30 a.m.
Saturday, January 24, 2015, Time: 10:30 a.m.
Sunday, January 25, 2015, Time: 10:30 a.m.
• NATIONAL ARCHAEOLOGICAL MUSEUM, at 10:30 a.m.
• LYCEUM ARISTOTLE, at 10:30 a.m.
Sunday 01 February 2015 Time: 10:30 a.m.
Saturday 07 February 2015 Time: 10:30 a.m.
Sunday 08 February 2015, at 10:30 a.m.
Saturday, February 14, 2015, at 10:30 a.m.
Sunday, February 15, 2015, at 10:30 a.m.
Saturday, February 21, 2015, at 10:30 a.m.
Sunday, February 22, 2015, at 10:30 a.m.
Saturday, February 28, 2015, Time: 10:30 a.m.
Saturday, March 7, 2015, at 10:30 a.m.
Sunday, March 8, 2015, at 10:30 a.m.
Saturday, March 14, 2015, at 10:30 a.m.
Sunday, March 15, 2015, at 10:30 a.m.
Sunday, March 22, 2015, at 10:30 a.m.
Saturday, March 28, 2014, at 10:30 a.m.
International Museum Day 2016 – "Museums and Cultural Landscapes"